At Humming Bird Dental Studio, we provide a wide variety of restorative dentistry Richmond Hill procedures to repair the structures of your teeth, restore function and improve the aesthetic condition of your dentition altogether. We develop treatment plans for individual cases in order to achieve the specific dreams and results that you desire. Proper dental hygiene and regular checkups are necessary for the success of these restorative procedures. Many of these procedures are standard and we carry them out every day in our office. Bonding and composite fillings: Composite fillings are materials that replace and restore damaged structure of the tooth that is above the gum. We use composite materials to restore damage from tooth decay and fractures. Composite fillings have become more popular over amalgam fillings because they look more similar to the natural color of the teeth. Inlays and onlays: These are much similar to fillings, but unlike traditional metal fillings, inlays and onlays make your teeth stronger. We use them to replace traditional metal fillings that often require the removal of a lot of the tooth structure. Inlays and onlays are prefect for cracked and fractured teeth if the damage is not too extensive that it needs a new crown. Inlays and onlays can prevent the need for more treatments to the tooth in future. Dental bridges: Bridges are dental prosthesis that replace missing or extensively damaged teeth structure. We design dental bridges to fit into the space that was previously occupied by a tooth with crowns on either side of the false tooth attached to the adjacent teeth. 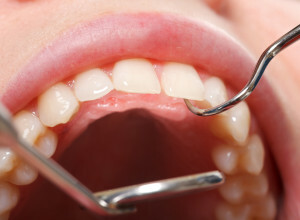 Dental bridges help to prevent shifting of the teeth next to the missing tooth gap and maintaining a healthy smile. We can create a variety of dental bridges depending on the needs of your dental problems. Crowns: We can also create custom-made crowns to fit over teeth that are decayed, damaged or cracked extensively. The crown is the part of the tooth found above the gum. We make dental crowns from materials such as porcelain, gold, alloys or all ceramic resins that match the natural color of teeth. Dental crowns are important for damaged teeth as they numb the teeth to remove decay and restore the proper structure and function of the damaged tooth. Dental implants: In case the damage to your tooth goes deep into the root of the tooth, you may have to lose the entire tooth. A full extraction to remove the damaged tooth all the way from the root is necessary. Once you have recovered from the extraction, we can use a dental implant made from titanium to replace the root of the missing tooth and fit it with a new crown on top. Sometimes we also use dental implants to hold bridges in place. Dentures: We also crease dental implants for patients who have lost all or most of their teeth and damaged part of the gum and jaw due to periodontal disease, tooth decay and injury. Losing your natural teeth can be devastating but with full or partial dentures, we can help restore your full smile in the most natural looking way.